HydraForce hydraulic controls can enhance the capability of any tractor – from the most basic, value models to the top-of-the-line models equipped with the latest & most sophisticated options. 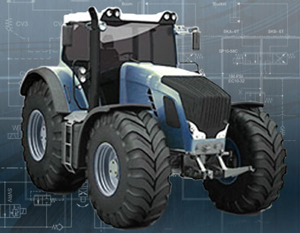 With our comprehensive line of cartridge valves, manifolds, and high performance electronic controls, HydraForce can provide numerous custom control solutions for tractors. This brochure shows some easy ways to apply electrohydraulics on tractors to improve performance, increase efficiency, reduce fuel consumption, reduce operator fatigue, minimize vibration and ensure machine safety.